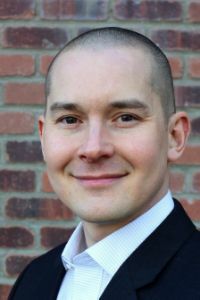 Josiah Boone, A Managing Broker with Windermere Real Estate, has built one of the most consistent and successful real estate practices in the Spokane area by focusing on providing superior service, negotiations, and a commitment to furthering his knowledge of the practice. This is evidenced by a 15 year track record as a top producing agent in the Spokane Realtor Association, hundreds of successful real estate transactions and happy customers, and both a Relocation Specialist designation and a Managing Broker license. Josiah is a devoted family man with a wonderful wife and two amazing children. Born and raised in the Spokane area, he has a desire to help those in our community and has been involved with many charities supporting the local homeless, at-risk mothers and children, low income individuals and families, and many more. Beyond that, he has led campaigns to help others in developing countries to receive food, supplies, and water and also serves on the board of Hands Across Nations, a local charity working abroad. When you decide to make a move, one of the last things you want to worry about is whether your Realtor will follow through and do everything they should to best represent you. Past clients know that Josiah is a Realtor they can trust, that follows-through, and puts their interests before his own. Josiah's success and reputation within the industry and among his loyal, repeat clients demonstrates his genuine commitment and dedication to a higher level of real estate services and ethics. "It feels good to help people," Josiah says, "and at the end of the day, helping clients and friends with one of the biggest decisions they're likely to make in their lifetime, and doing it well, gives me great personal satisfaction."